David James Duncan is the author of the novels The River Why and The Brothers K, the story collection River Teeth, the nonfiction collections My Story as Told by Water and God Laughs & Plays, and two fast response activist books, Citizen’s Dissent (with Wendell Berry) and The Heart of the Monster (with Rick Bass). 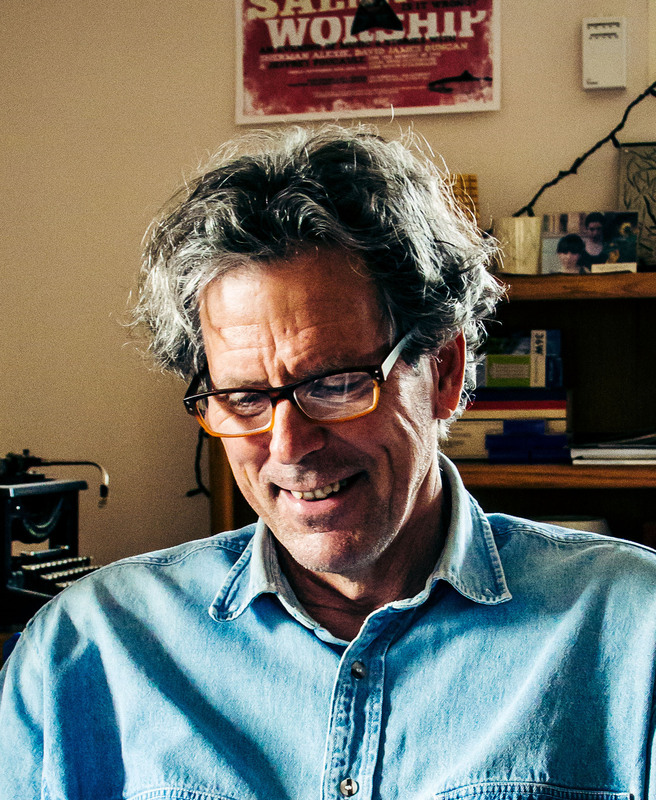 His work has won the Western States Book Award, three Pacific Northwest Bookseller’s Awards, the American Library Association’s 2004 Award for the Preservation of Intellectual Freedom, and has appeared in fifty anthologies including Best American Sports Writing, Best American Essays (twice), and Best American Spiritual Writing (six times). He has spoken far and wide on imaginative and spiritual freedom, the charms of the lay contemplative life, the necessity of a spiritual practice, the tragicomedy of the writing life, the crucifixion of the living earth, and the assassination of American democracy by the U.S. Supreme Court via their murderous fictitious creation, “The Corporate Person.” David lives with sculptor Adrian Arleo in Montana, where he is wrapping up a novel, Sun House, that fuses his loves for world wisdom traditions, acoustic folk and blues music, and the mountains, river valleys, and open-hearted people of the American West. The closed-hearted are on their own.